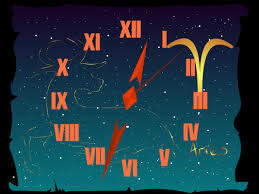 Aries Is a sign that confuses Sancho, so I really can't apologize for his refusal to write your horoscope! I think you'll be much happier with the astrologers I have found online. They are unique but each one has proven to be totally accurate. I look to this guy first, and as I have mentioned before, he has a great website with anything and everything to do with astrology and the esoteric. Michelle Knight is wonderful and also does a yearly and weekly horoscope...trust me she is right on the money! You may be in for a great rest of the month, I certainly hope so...just remember that your almost famous, your medium gorgeous, and gosh darn it, Sancho loves you!